The MOFORSAS brings quick deployment, security, and limitless communication possibilities to emergency response teams. CellAntenna, a leader in communication solutions, today announced the roll out of the ultimate in secure communication systems, the MOFORSAS. This Multiple Output Fiber Optic Repeater Smart Antenna System, or MOFORSAS, provides first responders with immediate communication in disaster conditions. The MOFORSAS is designed to provide clear, reliable communication to disaster recovery teams in extreme conditions. The system was designed to bring radio communication signals from outside and carry it into deep interior locations where no signal exists. The ability to communicate with command units and field officers is integral to successful disaster operations. MOFORSAS can also allow for communication in hostile conditions, such as building collapse, mining accidents, hurricanes, and similarly harsh situations. 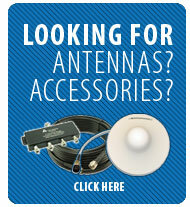 The engineers at CellAntenna have integrated several key components to achieve such reliable communication. At the heart of the system is a wideband radio frequency-to-fiber optic media converter with an unprecedented band range of 380 Mhz to 2500 MHz. This allows for any communication signal to be input to one of four RF ports, and then to be output to one of eight fiber optic ports. Control of the signal downstream to a similar converter gives the operator unlimited possibilities to control signal levels to antennas. CellAntenna’s MOFORSAS uses a military grade fiber optic high-strength cable to withstand the intense heat of afterburners used on fighter jets, and even the pressure of supersonic flight. This high strength cable is only several millimeters thick and easily deployed since 1 kilometer of cable weighs a mere 3 kilograms. This allows the strategic placement of antennas in areas far removed from the command and control center. It is also ideal when traditional communication is impossible such as in a mine collapse or where RF interference is extreme. CellAntenna has a military version of MOFORSAS, which incorporates similar functionality, but advanced features for battlefield conditions.